Leading Manufacturer of Thermal Fax Roll from Pune. Widely demanded in all official areas, our presented Fax Rolls are quality tested by the professionals. Experts make these rolls in perfect width and thickness. In addition to this, these rolls are light in weight and completely safe from water. 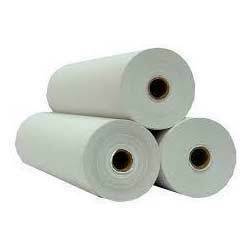 Excellent quality material is used for the manufacturing of these fax rolls.